Monuments Sight Seeing Attractions Khan ElKhalili Market Of all the famous sights of Cairo, the Khan el Kahlili Market is one of the most unique, if somewhat overwhelming, places to visit. Originally established in 1382, as its history indicates, the Khan el Khalili, or “Khan,” was established by Emir Djaharks el-Khalili during the time when the Fatimids ruled Egypt. Since then, the market has grown and changed, becoming famous for its ancient streets, the shops selling everything from clothes to spices to souvenirs. 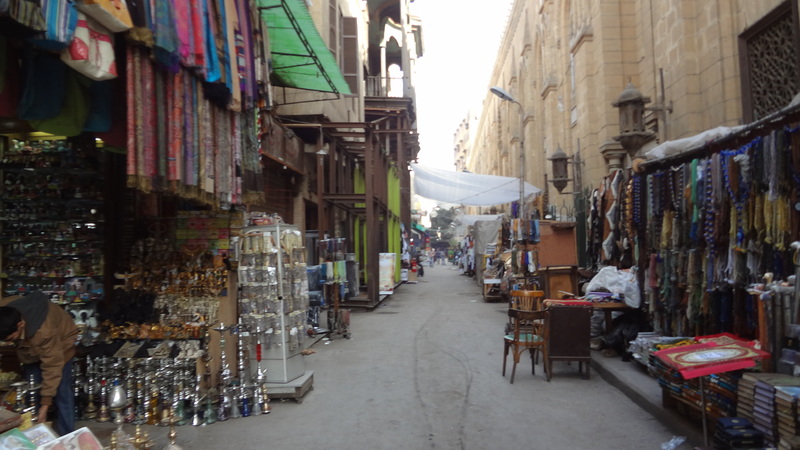 The Khan el Khalili is a sprawling labyrinth of narrow alleyways, small shops, cafés, and historic buildings. For centuries a center for trade in the Middle East and North Africa, the Khan el Khalili is still one of the largest shopping areas in Cairo. 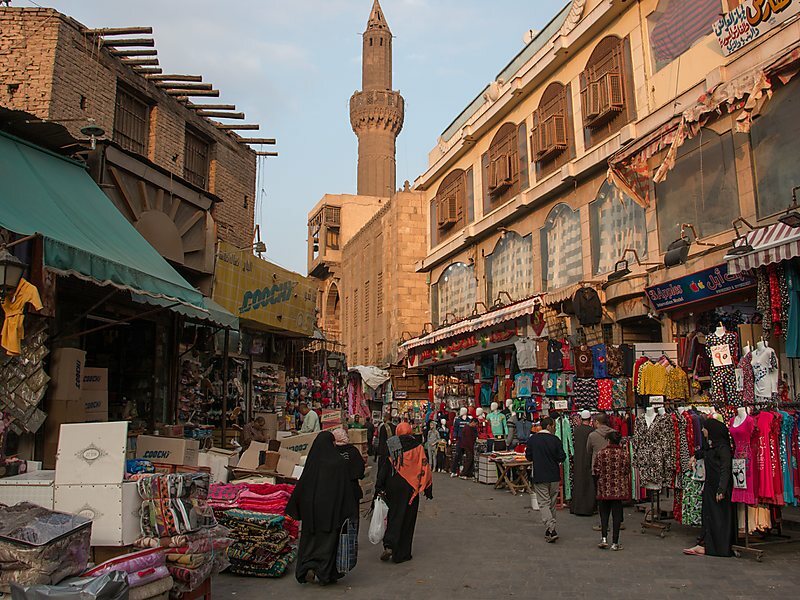 Located in Islamic Cairo, where much of the city’s original Muslim population lived, the market sits between El-Azhar Street and the Muski market, often considered part of the Khan. 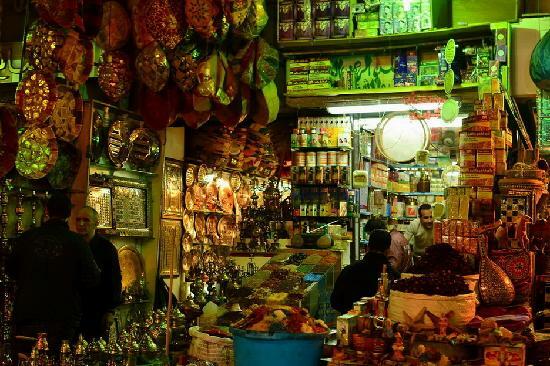 El-Muski is where most Egyptians shop; most of the best deals on clothes and other daily necessities are there. As tourist information indicates, the Khan el Khalili has been an ideal shopping place for over a thousand years, but it is not for the faint of heart. The dark, narrow alleyways are normally crowded with pedestrians, donkeys pulling carts, and even an occasional car or truck. Drivers in Cairo are accustomed to weaving through narrow spaces, but it can be startling to see a vehicle trying to get through as pedestrians flatten themselves against the walls of buildings or dart into shops to let a car through. The shopping itself can also be a daunting experience. Vendors at the market tend to be extremely aggressive in their sales pitches, and it can be difficult to get out of a shop without buying something. A common practice is to offer tea or a cold beverage to prospective customers who enter the shop or to offer a “gift” of a small item to oblige tourists to purchase a more expensive item. Many of the souvenirs are low-quality products, and tourists should beware of fakes. Nevertheless, it is possible to find good deals at the Khan el Khalili. Egypt is famous for its leather, and some of the leather goods available at the Khan are of high quality. Gold and cotton are also some of Egypt’s specialties, and papyrus painted with pharaonic or other themes is another common souvenir. While some vendors use banana paper instead, good quality papyrus is still available in many shops. Bargaining is a way of life at the Khan el Khalili. Except in a few places, the prices at the market are not fixed, and vendors expect customers to bargain. The process can be difficult for anyone not accustomed to it, but practice helps. Knowing a few words of Arabic can also help, even though most of the vendors speak some English. Visiting the Cafés and Mosques at the Khan el Khalili Besides shopping, the Khan el Khalili is known for its historic cafés. At El Fishawi Café, visitors can catch a glimpse of some of the artists and authors who frequent the place, while many of the other cafés are also pleasant. The mosques nearby are also well worth a visit, and performances of spectacular Sufi dancing (often known as whirling dervishes) are held regularly. Visiting the Khan il Khalili can be a daunting experience, but with so much to do and see, it is an essential part of any trip to Cairo.